Since the snow started falling in Hirafu village on the 18th of November 360niseko has had one camera plugged in the lower village shooting one frame an hour. The reason we started our daily weather reports was to physically monitor and record how much snow fell in the village. This season we decided to try a new angle. The movie is played at 24 frames a second which works out at 1 day a second. 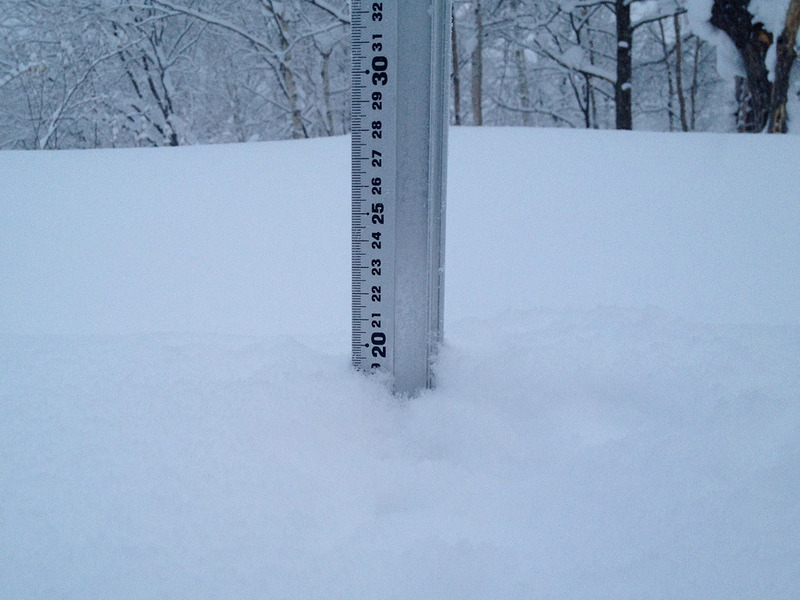 This represents the first month of accumulative snow fall in lower Hirafu village 359cm! *Move your cursor over the image to slide in the seasons snow fall so far this year. Thanks to Mike Richards for the support, encouragement and ideas and Jose for putting this first edit together.